Discussion in 'ESET Smart Security' started by Roxy90, Mar 25, 2012. Here is the log about removing ESS with the removal tool from ESET. As you can see is ESET removed in the safe mode. Afther a restart in the normal mode. 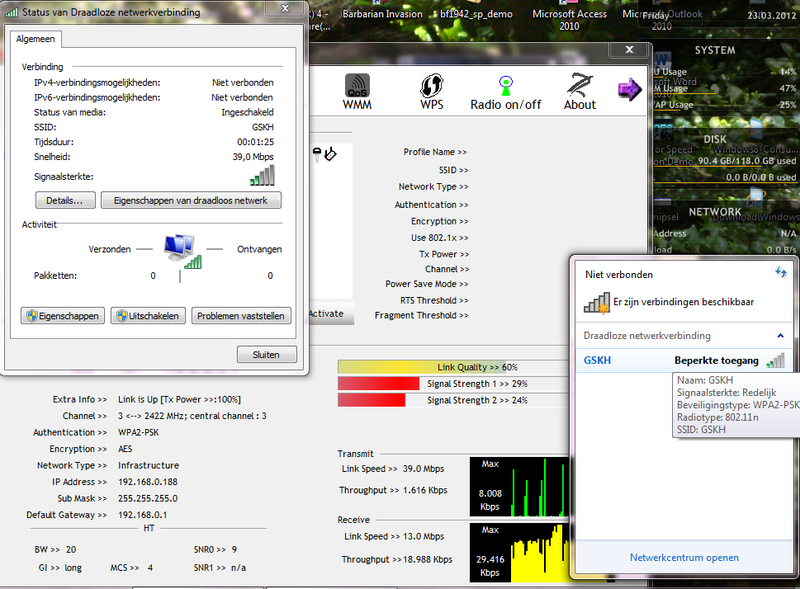 [02/27/12 16:05:40]	Online (PC booted from fixed disk) mode detected. [02/27/12 16:05:40]	WARNING! This tool uninstalls AV product in non-standard way. Your PC can be harmed seriously, please back up Your data. [02/27/12 16:06:15]	ERROR! PC is running in normal boot, to uninstall AV product ESS/EAV/EMSX please run safe boot or boot live CD/DVD/USB. Try reinstalling your network card drivers, restart your computer and let us know if you are still unable to get on the internet. Problem solved with the latest drivers and program for my wirelless network card.